I can’t really tell you where they came from. All I’ll say is that I may or may not have smuggled them from Provence. I may or may not have loved them so much in the restaurant garden that I worked in, that I may or may not have dried the seeds on the windowsil of my rundown house and tucked them into my suitcase and brought them back to the U.S. with me. That’s all I’ll say. They’re not supposed to be red. They are supposed to be black. Little black flower peppers. The most intriguing fruit I’ve seen dangling in a garden. But these ones never even turned red. Only this pair did after they sat on the windowsil for ages. I don’t know why… they just sat there, green as can be. Except these two. Which was upsetting at first. I really was looking forward to these black peppers. But seeing as it’s October, and getting very cold, it was time to bite the bullet and pick them. All ten million of them. So I did. And they’re still pretty. But not black. They have a spicy inside. But the outside is not. Just a subtle burn on your tongue. There were many, many baskets to be brought to the house. And so I decided that instead of eating ten million spicey peppers over the course of two weeks, I would pickle them. Lots of pickled peppers for the winter. I made a brew of vinegar and sugar and salt and spices and heated it. 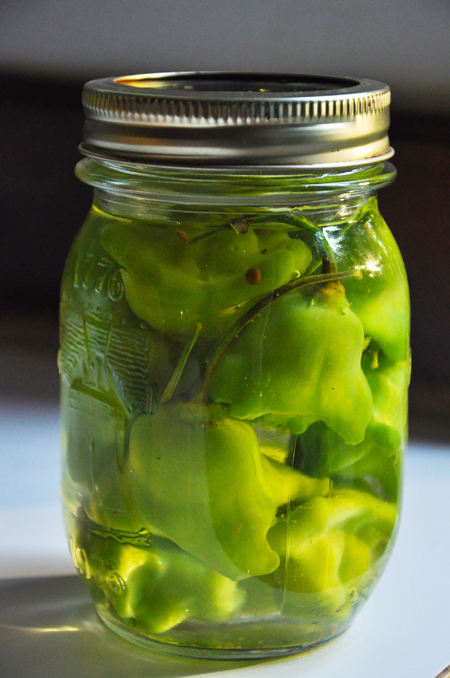 Then I stuffed the peppers tightly into glass canning jars. Then I ladled some of this warm liquid into each jar, enough to reach the top. And after placing them in a hot water bath for 45 minutes, the seal on the lid made that fun popping sound. And they were ready for the winter. 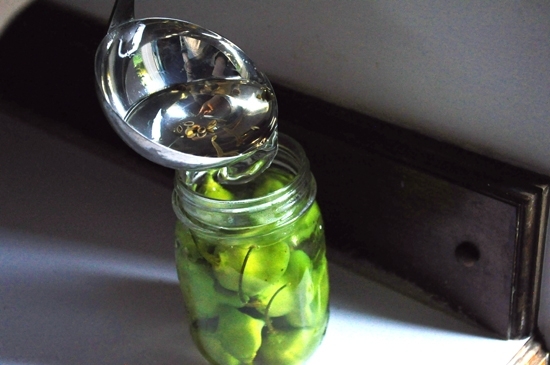 Here is my pickling recipe. I hope that your peppers turn the color you desire, but if not, these will do just fine. 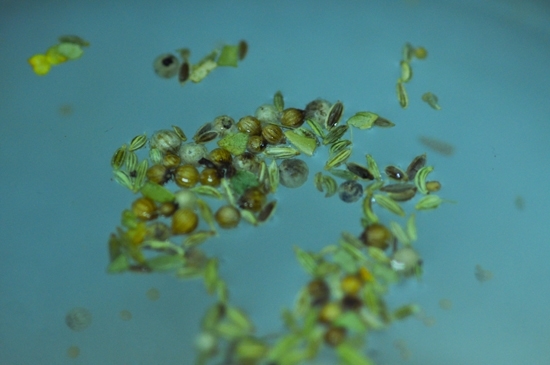 In a large pot toast the mustard, fennel and coriander seeds with the peppercorns until they begin to exude their aroma. Add the rest of the ingredients except for the peppers and bring them to a boil. Remove the pot from the heat and add the peppers. Let them sit in the liquid in the refrigerator until you are ready to eat them. 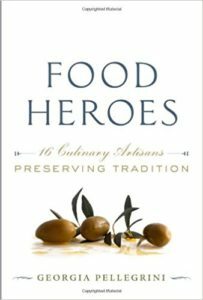 If you have a lot of peppers and not a lot of refrigerator, buy a book on canning and fill your shelves with jars for the winter. 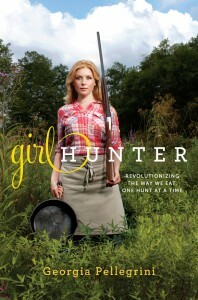 I love pickling and canning! Great post. I’ve never seen peppers like this before. Thanks for sharing! Those look cool. I wonder if here in LA they’s turn black during a longer grow season. Got any seeds to share or sell? Good luck hog hunting. I was planned to go out this weekend also, but must now cancel. I do have seeds leftover actually… I can send you some if you want to try them next year. Hi Georgia! 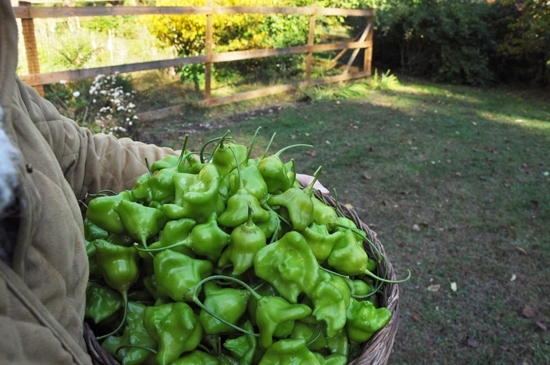 As I see it has been years since the last post- I was curious if you still grow these peppers (& if they ever turned black), as well as if you still had any seeds available?! I would love to grow them this summer; Their look is so intriguing!! I don’t have them anymore… I dropped the ball with all of my travels. 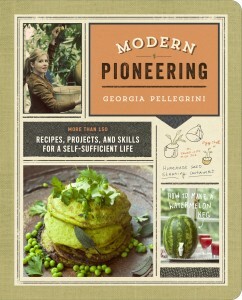 But I bet someone else does… there are some great heirloom seed banks in this country of ours! 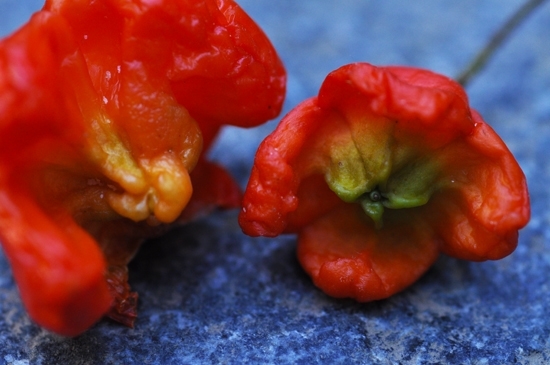 What you refer to as ‘strange French peppers’ are actually a breed of Capsicum baccatum. In South Africa, they are grown in the Limpopo province by the trade mark company ‘Peppadew’, which is what this sweet picquante pepper also now called. The company Peppadew has a strict control monopoly over the ‘fruit’ peppadew. NO seeds or plants are available on the open market. 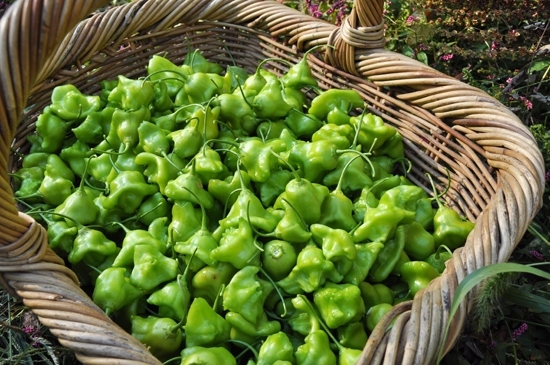 Employees of Peppadew are made to sign contracts that forbid them to remove any part of the fruit or plant from the premises and the plants are protected by guards. An underground movement was formed by those who believe hybrid seeds belong to no one and are set on earth for all. I’ve managed through friends who grow peppadews to secure some fruit from which I’ve harvested seeds. 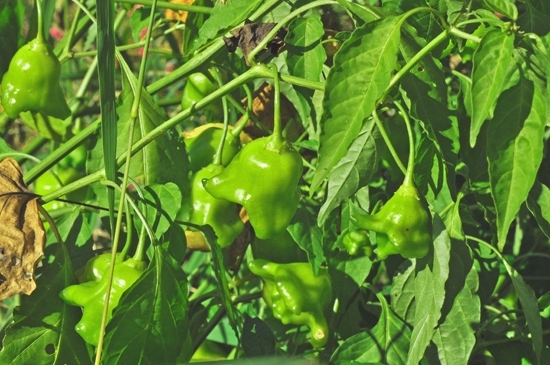 It’s good to read on your site that you too have managed to find some seeds and now grow peppadews. The Peppadew company pickles their peppadews in a sweet vinegar brine with no spices, or preservatives. The sugary vinegar concoction preserves and enhances the sweet picquante of the peppadews, which are deserving of their own unique flavour, though I’m sure your recipe is something yummy to try! Thanks for the post. p.s. peppadews do in time turn red and are processed for jarring as such! 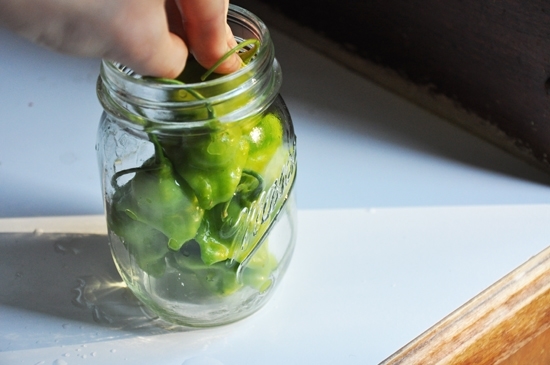 Wonder what your green pickled peppadews taste like? These are definitely known as bishops crown in europe. I have just grown 1plaNt its about 5ft high and the peppers ate now red. They take a long tIme to ripen. There are about 20 peppers on the plant. Next job is to harvest and preseRve. There are many seed suppliers on net of this pepper. Ps. Email should be in lower case. hI, i HAVE GROWN THESE CHILIES FOR THE FIRST TIME THIS YEAR; it’s THE BEGINNING OF OCTOBER AND THEY HAVE JUST TURNED RED. i LIVE IN THE CZECH REPUBLIC AND ITS CURRENTLY ABOUT 19 DEGREES CENTIGRADE OUTSIDE. i DON’T KNOW WHAT TIME OF YEAR YOU HARVESTED YOURS BUT MAYBE LEAVE THEM FOR LONGER NEXT TIME IF YOU WANT RED CHILIES. … I apologies for the capital letters… I can’t change it. LCM. This is nOt the peppadew that we have in south africa. It is the bishops crown pepper. It grows very fast and can take oVer if not cut back. Mine is covered with fruit. They go red as the fruit gets bigger. I am going to pickle some and will report back. Hi Kathleen Quite correct. 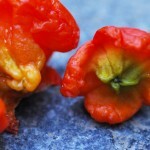 I have both in my garden peppadews and bishops crowns. the bishops crown are very prolific the peppadews a bit slower. i am in ashburton outside pietermaritzburg. they do go a lovely red and are good for preserving. where are you from?